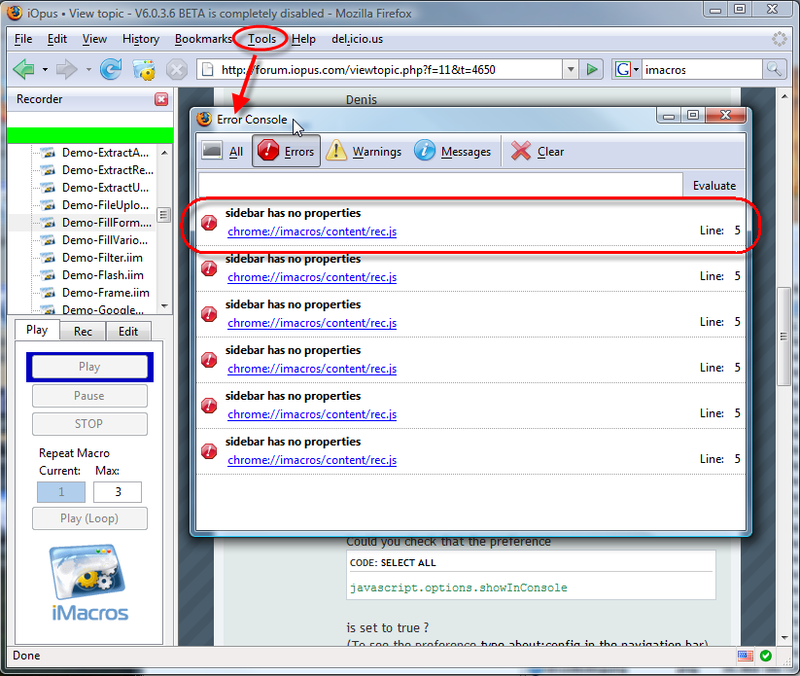 How to use the Firefox Error Console to report a problem. The error console is useful on the (rare!) occasion that iMacros stops working completely or creates another "strange" issue. This page was last modified on 20 November 2018, at 15:29.